Punditeer: Is the White House Ready for a Drone Attack? Is the White House Ready for a Drone Attack? This week a government employee flew a recreational drone "quadcopter" over the White House at 3am. Reports suggest the drone crashed on its own and was seemingly not brought down by anti-drone technology, such as signal jamming. As a side note, apparently there is nothing much for federal workers to do in DC at 3am. The only way to have any fun is to fly a recreational drone around the White House illegally and see if you get caught. Apparently the drone operator has been identified as an employee of the National Geospatial-Intelligence Agency, which explains the earlier reticence in identifying him. He had been drinking that night and lost control of the drone. Sounds like a DC federal worker to me. This entire episode has engendered much comment on whether the President of the United States is in any danger of a drone attack by terrorists. The Washington Post's Philip Bump wrote that the danger is "very, very small," and as evidence he interviewed someone from an aerial photography company! A more sober assessment is found in the New York Times, where it is explained the small size of drones makes them difficult to detect, and security experts are concerned about the growing danger to the White House and the President, who will often hold news events on the South Lawn, where he could be targeted. Patrick Tucker at Defense One asks whether the White House used drone-killing technology to bring down the 3am quadcopter. The question is left open as he discusses jamming techniques the White House might be employing. It seems absurd to suggest the danger is small in a world of al Qaeda and ISIS. Concern seems to focus on a swarm of drones attacking an outdoor target and what steps need to be taken to defend against such scenarios. Flying drones in DC may be illegal, but that won't stop terrorists or criminals or even over-enthusiastic hobbyists from flying them anyway. 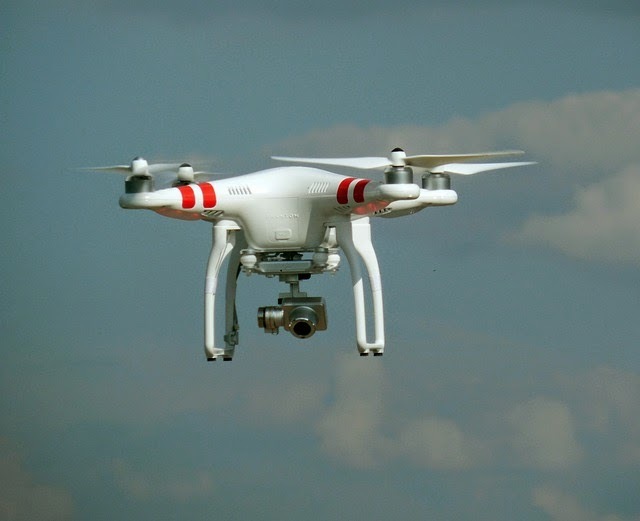 The threat to world leaders such as the President is growing, as just this one example of a stray recreational quadcopter finding its way to the White House grounds has shown.